We believe becoming a Christian is often times a process. It is a combination of multiple events over a period of time, each of which leads someone a little closer to Christ. We call these “God Moments” which can take various forms and are simply God’s way of colliding with our world to pull you into His. If there is one way to get people’s attention in our culture today, it’s money. That is why we chose that medium to show people that all Christians aren’t cheap and can actually be unselfishly generous. It’s counterculture, just like Jesus was, and a powerful gesture that people will never forget. When you give an Encounters of Hope gift card to someone, our tool will follow up with every person that activates a card. 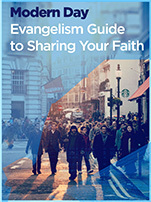 Whether they have been a Christian for 15 years or began believing in Christ that day, we reach out to them and provide an email curriculum that speaks to their current season of life.
" I was enjoying a walk with my twin daughters laughing taking in every moment.I get very few days to spend with them. I work two full-time jobs to make ends meet and take care of them and their 10 month brother. But still make time to be the best daddy I can be. Hiding the worry and stress that I deal with everyday. Always with a smile, joke,hug and an encouraging word. Then a lady and a gentleman stopped me and gave me a $100 gift card! All they asked for was to pray for me. I have been in a very dark place for a long time and who would of thought that one simple and selfless act could help renew my faith! GOD is good. "